It is now time for The Final Zhodani Base 76 Patrons Writing Contest. Lets make this a great competition for our 600+ facebook fans and all other fans that are not on facebook! As I have promised, the first prize will be a $100 Gift Certificate at DriveThruRPG. This years first prize is a $100 Gift Certificate at DriveThruRPG. Second prize is a $60 Gift Certificate at DriveThruRPG. 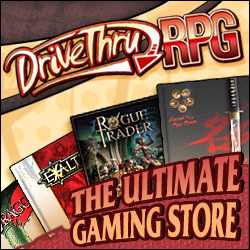 Third prize is a $40 Gift Certificate at DriveThruRPG. If you win you can buy lots of traveller goodies that you might have missed. The style of the entries should be in the style of the patrons in CT Supplement 6, 76 Patrons. The contest starts now and ends 31 Mar 2016. Write as many entries as You like. After the 31:st of March 2016, all entries will be posted on the Zhodani Base. The winner will be chosen by BeRKA. By entering the contest You allow your entry to be posted at the Zhodani Base. All entries might also be posted in PDF format as a free down-loadable file at the Zhodani Base. 1, Each entry should be less than 1000 words. 2, One image may be used in each entry. You must either own the rights to the image, or it must be used under some sort of free license. Wikimedia Commons is a good place to find an image that You can use. Please provide information about the image. (Is it Yours? If not, where have You found it? What license is used?) Note: You don’t need to use an image. 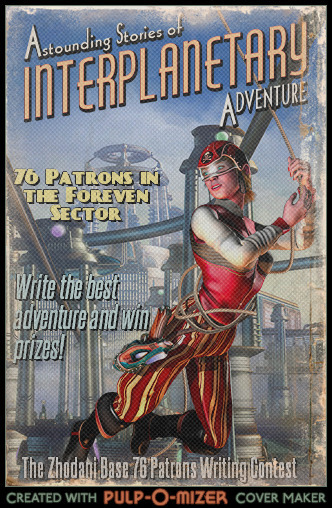 You can also generate an image using the Pulp-o-Mizer or similar services. 3, Each patron should offer 6 options. 6, Please use a spell checker! Send Your entries by e-mail. Please use plain text format and attach the image, if You select to use one. Word files will not be accepted! IMPORTANT! Everyone that sends me an entry will get a reply. If you have sent me something and not got a reply within a few days, then contact me again. Please include a preferred nickname (that may be your real name) to show on the Zhodani Base. If You expect to win, include an e-mail address to send the first prize to. Any rules you choose to use to design something for your patron is fine, even Mongoose Traveller rules, since the Zhodani Base has a Foreven Free Sector License. 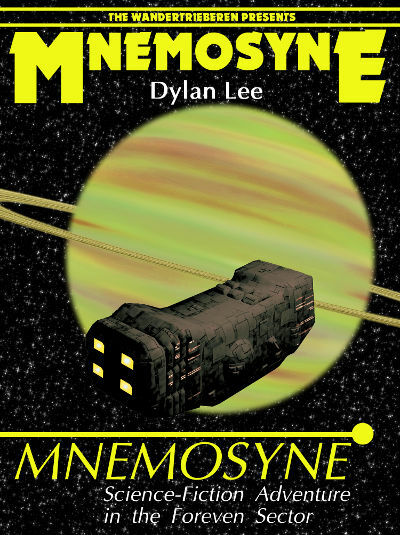 It is now time for The Zhodani Base 76 Patrons Writing Contest – 2014. Since the Zhodani Base is celebrating 20 years on the Internets this year, we have added $20 to the prize pot from last year. The generous Jury, (Mike, Eric, Dylan and Anders) from the Amber Zone Opening Contest each add $10. This years first prize is a $70 Gift Certificate at DriveThruRPG. Second prize is a $40 Gift Certificate at DriveThruRPG. Third prize is a $20 Gift Certificate at DriveThruRPG. The contest starts now and ends 30 Nov 2014. Write as many entries as You like. After the 30:st of November 2014, all entries will be posted on the Zhodani Base. The winner will be chosen by BeRKA. Everyone that sends me an entry will get a reply. If you have sent me something and not got a reply within a few days, then contact me again. It is now time for The Zhodani Base 76 Patrons Writing Contest – 2013. This years first prize is a $40 Gift Certificate at DriveThruRPG. Second prize is a $20 Gift Certificate at DriveThruRPG. 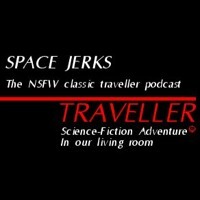 Third prize is a $10 Gift Certificate at DriveThruRPG. The contest starts now and ends 31 Aug 2013. Write as many entries as You like. After the 31:st of August 2013, all entries will be posted on the Zhodani Base. The winner will be chosen by BeRKA. It is now time for The Zhodani Base 76 Patrons Writing Contest – 2012. This years first prize is a $30 Gift Certificate at DriveThruRPG. Second prize is a $10 Gift Certificate at DriveThruRPG. The contest starts now and ends 31 Aug 2012. Write as many entries as You like. After the 31:st of August 2012, all entries will be posted on the Zhodani Base. The winner will be chosen by Berka. 2, One image may be used in each entry. You must either own the rights to the image, or it must be used under some sort of free license. Wikimedia Commons is a good place to find an image that You can use. Please provide information about the image. (Is it Yours? If not, where have You found it? What license is used?) Note: You don’t need to use an image. Please include a preferred nickname (that can be Your real name) to show on the Zhodani Base. If You expect to win, include an e-mail address to send the first prize to. You may use Mongoose Traveller rules to design something for your patron, since the Zhodani Base has a Foreven Free Sector License. 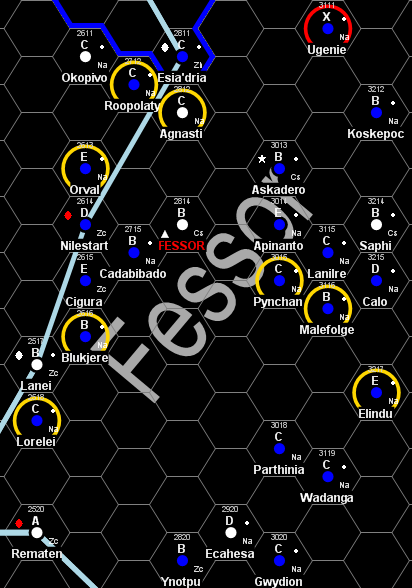 Fessor Subsector – Map made using Traveller Map Post API. The contents of Spinward Encounters are really really good. I love adventure, and this book is packed with them. 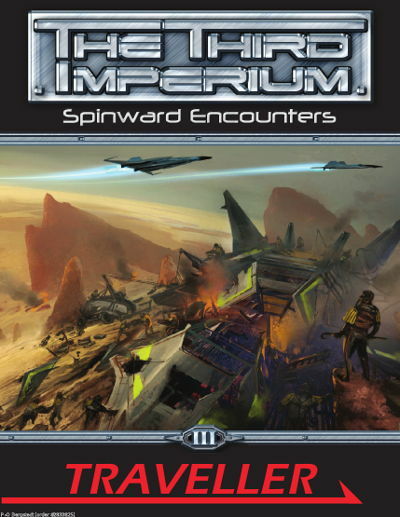 There are 64 Patron type Adventures (4 for each subsector in the Spinward Marches), and 16 Amber Zone type adventures. Many of these are well thought out, and are a bit longer than a normal (classic) patron or amber zone. A nice thing about a few of the amber zones in the District 268 is that the referee can connect them into a mini campaign. As a referee, you might think that only four adventures for each subsector makes this product a bit overpriced. But if you are playing in one of the two most popular subsectors (Regina or District 268), then it would be easy to lead your PCs into the five adjacent subsectors. Then you would have 24 useful patrons to play, and for Regina five extra Amber Zones, and for District 268 nine extra Amber Zones. 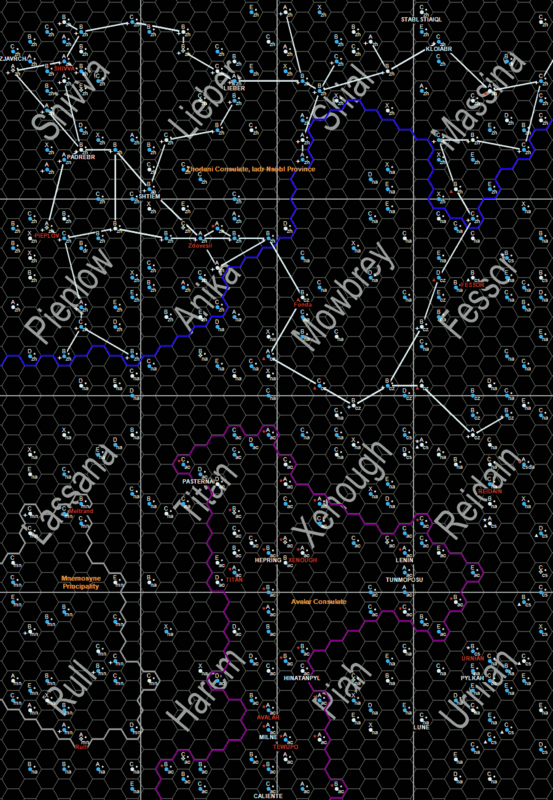 If you play in any of the Vilis, Lanth, Sword Worlds or Lunion subsectors, then you can use 36 patrons if you let you PCs travel into neighbouring subsectors. The problem with this book is that the layout is quite bad, and that there is no proper index. An index is something that would be very useful if you want to plan to integrate any part of the book into your campaign. There are a few nice images in the book. I like the one with a Bwap and a Vargr on page 33. This image is probably meant to illustrate the patron at Jesedipere at page 16. As I said, the layout is quite bad… In this image you can spot the Serenity in the background. Maybe also in the image on page 27. That was a nice Easter egg. LOL! It is now time for The Zhodani Base 76 Patrons Writing Contest – 2011. This years first prize is a $20 Gift Certificate at DriveThruRPG. I decided to stop giving away books, since the postage to send them all over the world was too expensive. The contest starts now and ends 30 Sept 2011. Write as many entries as You like. After the 30:th of September 2011, all entries will be posted on the Zhodani Base. Registered users (on the 1:st of July) and participants in the competition may then vote for the entries they like the most. 2, One image may be used in each entry. You must either have the right to the image, or it must be used under some sort of free license. Wikimedia Commons is a good place to find an image that You can use. Please provide information about the image. (Is it Yours? If not, where have You found it? What license is used?) Note: You don’t need to use an image. As an alternative, contributors to the Zhodani Base may log in and write their entries here. Entries posted that way will be made visible when all other are. Please include a preferred nickname (that can be Your real name) to show on the Zhodani Base. If You expect to win, include an address to send the first prize to. You may use Mongoose Traveller rules to design something for your patron, since the Zhodani Base now has a Foreven Free Sector License. Map made using Traveller Map Post API.